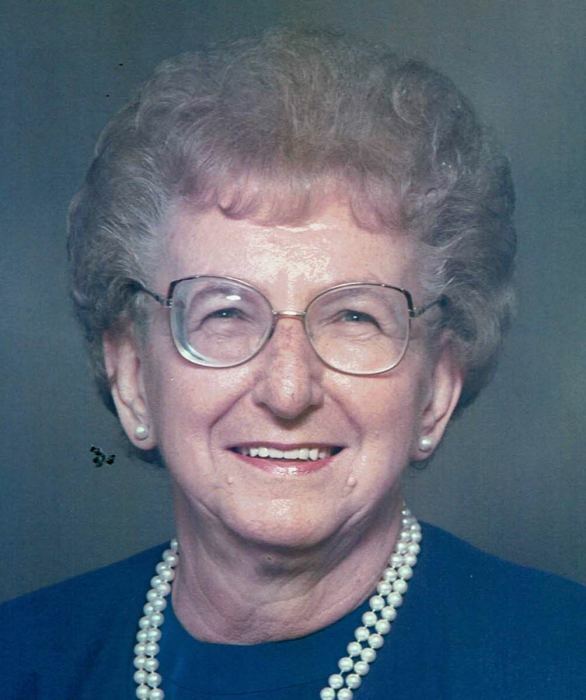 Obituary for Anne (Harendza) Moschak | Bednarsky Funeral Home Inc.
Anne Harendza Moschak, 93, passed away on Friday November 23, 2018 at Elizabeth Church Manor, with the Angels that have always been a part of her life by her side. She was a devout Catholic and a lifelong member of St Anns/Holy Trinity parish; member of the church's Mothers Club and the Altar & Rosary Society. Mom was an award-winning Broome County 4-H leader and a member of the Polka Paraders. She baked and decorated many wedding cakes for family and friends. Mom was employed by OTB in Binghamton for 20 years. She was preceded in death by her husband of 47 years, Peter Moschak; seven brothers and one sister, and many other relatives and friends. She is survived by her children and their spouses, Nancy (Bob) Neiger, Pensacola Fl, Peter (Vicki) Moschak, and Mark (Denise) Moschak. She counted her four grandchildren and their spouses, Peter James (Kate), Thomas, Steven (Vanessa), and Deborah (Ian),as some of her greatest blessings; and the great-grandchildren, Stella, Paxton, and Owen,as her special joys. She is also survived by her sister-in-law Mary Ellen Harendza; as well as many nieces and nephews. A Funeral Mass will be offered at 10:30 AM on Monday, November 26, at the Church of the Holy Trinity, 346 Prospect St., Binghamton. Burial will be in Slovak Catholic Cemetery at a later date. Family will receive friends at the church from 9:30 AM until the time of the Mass at 10:30 AM. Her children request that in lieu of flowers or if you are unable to attend the service, you take the time to visit an elderly relative, friend or neighbor and make them smile. Mom, you lived your life to the fullest,"S panom Bohom", "God be with you until we meet again." Arrangements by Bednarsky Funeral Home, Inc.